The cover of the Vampire Hunter D Manga: Volume 3. Based off of the book, Demon Deathchase, its about forbidden love between a vampire and a human. 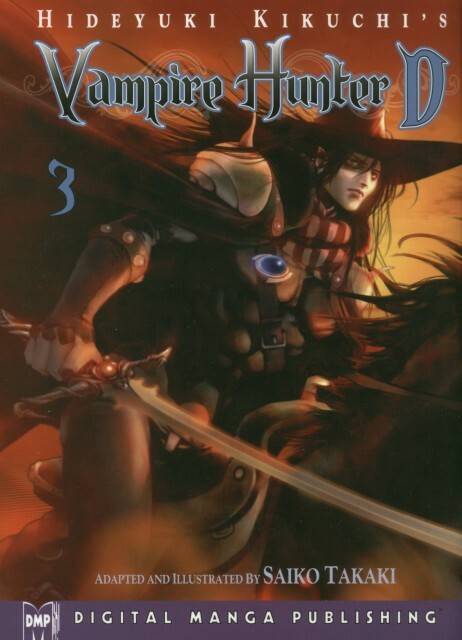 This volume was the inspiration for the movie, Vampire Hunter D: Bloodlust. Story by Hideyuki Kikuchi. Illustrations by Saiko Takaki. My scan. Please give credit for use. Thanks very much for this awesome scan!